Thanks to those who joined us for a day of science-based exploration and learning on an emerging public health issue: overdose injury and death related to opioids (prescription pain medications). 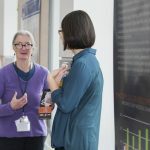 Hundreds of researchers, clinicians, public health practitioners, policymakers, students, and members of the media enjoyed the day. For an integrated experience of social media, video, relevant articles, and more, CLICK HERE. Email us at UMInjuryCenter@umich.edu if you have questions. Dr. Grant Baldwin is the Director of the Division of Unintentional Injury Prevention at the National Center for Injury Prevention and Control in the Centers for Disease Control and Prevention. He has served in this capacity since September 2008. Unintentional injuries are the leading cause of death for persons 1 to 44 years of age. DUIP is dedicated to reducing the number and severity of unintentional injuries through science-based programs and applied research. CDC is focused on preventing injuries and fatalities from motor vehicle-related crashes, older adult falls, prescription drug overdoses, and traumatic brain injuries – especially those caused in youth sports and recreation. Dr. Baldwin joined the CDC Injury Center in November 2006 as acting Deputy Director. In this role, Dr. Baldwin assisted the NCIPC Director in providing overall leadership and direction for the Center. He began his career at CDC in September 1996. Dr. Baldwin received his PhD in Health Behavior and Health Education at the University of Michigan School of Public Health in 2003. He also received a MPH in Behavioral Sciences and Health Education from the Rollins School of Public Health at Emory University in 1996. Currently, he is also an adjunct Associate Professor at Emory University’s Rollins School of Public Health. Frederic C. Blow, Ph.D. is Professor and Director of both the Substance Abuse and the Mental Health Services Outcomes & Translation Research Sections in the Department of Psychiatry, the Director of the University of Michigan Addiction Research Center, and a career researcher and educator in the field of substance use screening, interventions, and treatments. He is a national expert in mental health and substance abuse services research and policy, with a focus on evidence-based practices. His areas of research expertise include substance abuse prevention from a lifespan developmental perspective, substance use and violence, alcohol screening and diagnosis for older adults, mental disorders and concurrent substance abuse, alcohol and drug abuse brief interventions in healthcare settings, risk factors for suicide, and mental health services research. Dr. Blow has been the principal investigator on numerous federal, state and foundation grants and has published over 300 articles in the areas of substance abuse and alcoholism, substance abuse screening/treatment and mental health services research. His current research portfolio includes NIH-, VA-, foundation- and Hazelden-funded studies on behavioral strategies for substance abuse treatment linkage and engagement, computerized brief interventions for patients presenting to the emergency department, the role of families in treatment engagement/linkage and in recovery for older substance abusers, enhancement of court-mandated interventions for driving under the influence of alcohol, and prevention/early intervention of marijuana use/misuse among adolescents in primary care settings. He has also served as the lead evaluator on a number of national, state, and local initiatives. Dr. Bohnert is a mental health services researcher with training in public health who focuses her research on epidemiology and brief interventions regarding substance use and related disorders. 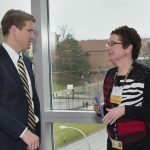 Within a team of collaborators at the University of Michigan and the VA, she has led a number of projects related to overdose and prescription drug safety. A number of her research activities have been specifically aimed at improving care occurring in substance use disorder treatment settings. Dr. Bohnert has demonstrated a particular expertise in applying epidemiology methods to the analysis of VA electronic health records-based datasets to answer important questions for health services delivery. She has an appointment as an Assistant Professor in the Department of Psychiatry at the University of Michigan. Dr. Bohnert is also affiliated with the Department of Veterans Affairs Center for Clinical Management Research (CCMR), an HSR&D Center of Innovation. Carol J. Boyd, PhD, MSN, RN, FAAN is the Deborah J Oakley Professor of Nursing and a Research Professor at the Addiction Research Center in the Department of Psychiatry at the University of Michigan. Boyd is an internationally recognized substance abuse scholar whose career started when she studied female heroin and “T and Blue” users in Detroit. Her mid-career research centered on African American women’s abuse of crack cocaine, but her more recent NIH funded studies focus on adolescent and young adult populations and their abuse of alcohol and controlled medications. Phillip Coffin, MD, MIA is Director of Substance Use Research at the San Francisco Department of Public Health and Assistant Professor of HIV/AIDS at the University of California San Francisco. He is a board-certified practicing internist and infectious disease specialist. His clinical trials unit tests pharmacologic and behavioral therapies for substance use disorders, conducts implementation science studies addressing substance use and medical sequelae, and tests adherence strategies for treating blood-borne infections among people who use drugs. Dr. Coffin developed the first international conference on heroin overdose in 2000, established the first hospital-based naloxone distribution program at Columbia University in 2006, and is medical director of San Francisco’s naloxone distribution program. He has developed and studied naloxone prescription to patients on opioids for chronic pain in primary care clinics and is a member of the committee charged with developing Centers for Disease Control and Prevention opioid prescribing guidelines. Dr. Cunningham is Associate Chair for Research and Professor for the University of Michigan’s Department of Emergency Medicine, Director of the CDC funded UM Injury Center, and Professor in Health Behavior & Health Education, University of Michigan School of Public Health. Dr. Cunningham has a distinguished career in researching intentional injury and substance use prevention, particularly of youth and young adult populations. Her focus on brief interventions in the emergency room has helped position the emergency department as a critical location for public health interventions, specifically for violence. She is currently leading two NIH-funded studies on substance abuse: one focusing on the intersection of youth violence and drug use, and one focusing on underage alcohol misuse and associated injury. Dr. Cunningham concurrently continues her work as a practicing Emergency Department physician at the University of Michigan Health System. Dr. Desmond is the Director of Clinical Quality, Associate Chief of Staff, and Assistant Professor of Adult Emergency Medicine at the University of Michigan Hospitals and Health Centers. He received his B.A. from Williams College in Williamstown, MA in 1982 and his degree in medicine from University of Texas in Houston, Texas in 1987. Dr. Desmond then completed a residency in Emergency Medicine at the University of Massachusetts Medical Center in Worcester, MA. Dr. Desmond has led a variety of process improvement and Information Technology initiatives within the Emergency Department, as well as implementation of a Peer Review Process for the department. Dr. Desmond’s research interests focus on the application of operations management principles to healthcare and specifically Emergency Department operations in order to improve patient care. Dr. Desmond is the developer and co-leader of the University of Michigan Health Administration Scholars Program (HASP). In 2013 Dr. Desmond became the Director of Clinical Quality at the University of Michigan Hospitals and Health Centers. In this senior level quality management role, Dr. Desmond is responsible for developing processes for identification, prioritization, implementation and communication of clinical quality and patient safety improvement initiatives. In January 2015 Dr. Desmond was named the Interim Chief Medical Officer. Tara Gomes is an epidemiologist and a Principal Investigator of the Ontario Drug Policy Research Network (ODPRN), a provincial network of researchers with expertise in pharmaceutical utilization, outcomes and policy. The key objective of the ODPRN is to rapidly conduct relevant pharmacoepidemiology research for provincial decision-makers to inform drug policy in Ontario and across Canada. She is also a Scientist in the Li Ka Shing Knowledge Institute of St. Michael’s Hospital and the Institute for Clinical Evaluative Sciences and an assistant professor at the University of Toronto in both the Leslie Dan Faculty of Pharmacy and the Institute of Health Policy Management and Evaluation. Her research is focused on pharmacoepidemiology, drug safety and drug policy research leveraging large, administrative databases, and she has published over 100 peer-reviewed articles and over 50 policy reports in this area. She has worked closely with the Ontario Ministry of Health and Long-Term Care to develop evidence to inform policies related to opioid use and abuse in Ontario and has served as an expert for the US Food and Drug Administration and the US Department of Transportation in discussions related to opioid policies and regulations. In 2014, the ODPRN was awarded the Institute for Public Administration of Canada’s Bronze Public Sector Leadership Award in Health and Education. Dr. Ilgen is a clinical psychologist, an investigator with the Department of Veterans Affairs Center for Clinical Management Research (CCMR) in Ann Arbor, Michigan and an Associate Professor in the Department of Psychiatry at the University of Michigan. In collaboration with colleagues in the VA and at the University of Michigan, he has conducted a number of projects related to the treatment of substance use disorders, particularly for hard-to-treat individuals (e.g., those with co-occurring chronic pain or psychiatric disorders) as well as those at-risk for adverse outcomes (e.g., poor treatment compliance, self-injury, etc.). Much of his current work is focused on strategies to decrease the likelihood of suicide in high-risk individuals. Dr. Ilgen’s research is currently funded by the Department of Veterans Affairs, the Department of Defense, and the National Institutes of Health. Erin E. Krebs, MD, MPH is a Core Investigator at the Minneapolis VA Center for Chronic Disease Outcomes Research and Associate Professor of Medicine at the University of Minnesota. She is a general internist with an active primary care practice and also serves as Women’s Health Medical Director for the Minneapolis VA. Her research focuses on chronic pain management in primary care and benefits and harms of opioid analgesics. She is currently leading a VA-funded randomized trial comparing opioid versus non-opioid prescribing strategies for long-term treatment of chronic back and osteoarthritis pain. Dr. Porucznik is an Associate Professor in the Department of Family and Preventive Medicine and Associate Chief for Education in the Division of Public Health at the University of Utah School of Medicine. She has been studying the problem of prescription drug-related harm for over a decade using various public health data sources and innovative methods. Jack B. Stein, Ph.D., became Director of the Office of Science Policy and Communications (OSPC) within the National Institute on Drug Abuse (NIDA), part of the National Institutes of Health, in August 2012. OSPC leads science policy, strategic planning, program evaluation, communications, and public liaison activities for NIDA. Dr. Stein has over two decades of professional experience in leading national drug and HIV-related research, practice, and policy. Stein first joined NIDA as the OSPC Deputy Director, and later as the Deputy Director for the Division of Epidemiology, Services and Prevention Research. He then left NIDA to become Director of the Division of Services Improvement, Center for Substance Abuse Treatment at the Substance Abuse and Mental Health Services Administration. Immediately prior to rejoining NIDA, Stein served as the Chief of the Prevention Branch, Office of Demand Reduction, at the White House Office of National Drug Control Policy. Michael Von Korff has carried out research on the management and outcomes of chronic pain and depression, in primary care settings. He has co-led major randomized trials examining approaches to chronic illness management in primary care, including collaborative care for depression and interventions to improve self-care of chronic-recurrent back pain. A major focus throughout his career has been studying mental-physical comorbidity and how patients manage distressing physical symptoms. He developed principles for effective chronic illness self-management included in the Chronic Care Model. His current research focuses on trends and risks of long-term use of opioids for chronic pain. Dr. Von Korff currently has grants from the National Institute on Aging and the Patient-Centered Outcomes Research Institute concerning chronic opioid therapy. Aaron White, PhD works in the Office of the Director at the National Institute on Alcohol Abuse and Alcoholism (NIAAA) where he is the Senior Scientific Advisor to the Director. Dr. White received his PhD in biological psychology from Miami University (Ohio) in 1999. His graduate research focused on the brain mechanisms underlying alcohol-induced amnesia (i.e., “blackouts”). After completing two years of post-doctoral training in the Department of Psychiatry at Duke University Medical Center in 2001, he joined the faculty as an Assistant Professor. His research at Duke focused on the effects of alcohol on adolescent brain function and brain development, alcohol blackouts among college students, adolescent substance abuse treatment and the development of high school and college alcohol prevention and education initiatives. He is particularly interested in the neurological and psychological factors contributing to alcohol and other drug use and the development of strategies to help prevent the initiation and escalation of such use. After joining NIAAA in 2008, and until recently, his duties included overseeing funded studies on college and underage drinking prevention and giving talks on these topics in academic, government and community settings. In his current position as Senior Scientific Advisor to the Director, he advises the Institute Director, Dr. George Koob, on scientific areas related to alcohol and other drug use. He also represents the Institute in meetings with government agencies and non-government organizations, delivers presentations, interacts with news media, and publishes scientific manuscripts on emerging areas of interest to the Institute. To date, he has published nearly 60 articles and book chapters, along with two books on adolescent development and one the immune system. He also helped create an online alcohol education course for college students, called AlcoholEdu, which has been completed by more than 3,000,000 students since its inception. He has appeared in dozens of educational videos, documentaries, news programs and articles about alcohol and adolescent brain development and has spoken internationally about this topic. His recent manuscripts examine hospitalizations for alcohol overdoses, drug overdoses and their combinations, predictors of blackouts among young adults, trends in alcohol use among females relative to males and the concurrent use of alcohol and alcohol-interactive prescription medications in the United States. Rebecca Cunningham, MD, University of Michigan. Summit Director Amy Bohnert moderated the morning session and brought together speakers for a full day of learning. More than 180 people attended the Opioid Overdose Summit in person; another 200+ attended via webcast. Practitioners, researchers, and community members assembled to learn more about addressing the growing opioid epidemic. 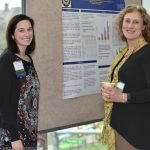 A robust poster session allowed for greater exchange of information about projects designed to prevent opioid overdose. Please note: abstracts are listed in the order shown in the table in the print program on pages 22 & 23. Identifying patients prior to surgery who are at risk for uncontrollable post-operative pain and related complications from high daily opioid dosing is crucial for their perioperative management. Respiratory depression, opioid-induced hyperalgesia, uncontrolled pain, prolonged PACU stays, and unintended ICU admissions are all known complications of patients undergoing surgery on high-dose opioid therapy. Patients on greater than 100 mg PO morphine equivalents daily may be considered “high-risk” for these complications and may benefit from a pre-operative opioid taper. Identification of these patients in the clinic by the surgical team, potentially months prior to their surgery, is critical for successful perioperative management. The High-Dose Opioid Taper (HOT) Initiative at the University of Michigan aims to identify surgical candidates at risk for opioid-related complications and in cooperation with the patient’s opioid prescriber and the University of Michigan anesthesia and surgical teams intervene by educating the patient on the adverse effects of high-dose opioids, taper their opioid dosing, and initiate multimodal analgesia which may allow for successful optimization of their perioperative pain management and minimize complications associated with high daily opioid dosing. Purpose: The opioid crisis is widespread. We set out to implement a program for non-medical responders to rapidly identify, and administer a reversal agent in an overdose victim. Methods/Approach: We affiliated with a sheriff’s office that provides coverage to over a 907 square mile area in Michigan. In January 2015 we implemented a 45 minute training program that reviewed signs, symptoms, and the physiology associated with an of opioid overdose. The pharmacology and administration of an opioid reversal agent was also included in the program. At the conclusion of the program officers were evaluated on material presented. This included a hands on portion that reviewed medication administration on simulated victims. Results: From January 2015 through October 2015, a total of 89 Sheriff Deputies were trained. This was a rolling training session based on reversal agent availability. Due to the sensitive aspect of time to intervention in these cases; we noted the average time for emergent 911 calls to arrival to be 5:06 minutes. Over this period overdoses were identified with successful intervention in 16 victims with positive outcomes. No adverse events or deaths were identified. Conclusions: The initiation of an opioid overdose training program may be a successful adjunct to currently established pre-hospital resources in saving lives. Additional rigorous scientific evaluation is needed. Innovation and Significance: Further establishment of basic educational programs for first responders and the lay public may make a significant impact on overdose survival. Statement of Purpose: Prescribed opioid medications are the most commonly implicated substances in unintentional overdoses. Outpatient health care encounters represent a potential opportunity to intervene to reduce opioid overdose risk. This study assessed the timing and type of outpatient provider contacts prior to overdose. Methods: This study examined all adult patients nationally in the Veterans Health Administration (VHA) who died from unintentional prescription opioid overdose in fiscal years 2004-2007 and used VHA services anytime within two years of their deaths (n=1,813). For those whose last treatment contact was in an outpatient setting (n=1,457), demographic, clinical and treatment characteristics were compared among patients categorized by the location of their last contact. Results: 33% (N=479) of those last seen in outpatient settings were seen within one week and 62% (N=910) within one month of their overdose. A substantial proportion of patients were last seen within one month of death in mental health or substance disorder outpatient settings (30% N=438). The majority of patients did not fill an opioid prescription on their last outpatient visit prior to unintentional opioid overdose. Conclusions: The majority of patients who died by unintentional overdose on prescription opioids were seen within a month of their overdose in outpatient settings. Innovation and significance: These settings may provide an opportunity to prevent patients from dying from prescription opioid overdoses, and interventions to reduce risk should not be limited to visits that resulted in an opioid prescription. Since 2012, drug overdose deaths have increased in Macomb County resulting in 271 deaths in 2014 according to the Macomb County Medical Examiner’s Annual Report. Of those 271 deaths, 107 were attributed to heroin and 164 were, at least in part, attributed to prescription opioids or other narcotics. This is a public health crisis of epidemic proportions. As a result of this alarming trend, Operation Rx is building a broad community partnership of anti-drug abuse stakeholders, i.e. law enforcement, social services, hospitals, schools, legal, government, and others. Our mission is saving lives by empowering individuals and communities to prevent prescription drug abuse, narcotic misuse and abuse. Operation Rx played a key role in equipping Macomb County Sheriff patrol cars with Narcan, a life-saving antidote for heroin and narcotic overdoses; since June 2015, more than 10 lives have been saved. Operation Rx also advocates protocols limiting quantities of narcotics prescribed by physicians and dentists. An Operation Rx video public service announcement was also created encouraging safe storage of unused medications. Fifteen sites have been established county-wide for the safe disposal of unused narcotics in a collaborative effort with Macomb County anti-drug coalitions. Operation Rx aims to provide systemic change in practices surrounding prescription opioids and subsequent treatment of individuals suffering from substance use disorder. Operation Rx partners have developed a strategic plan addressing the following priorities: compiling reliable county-wide data and metrics for successful outcomes; increasing effective substance abuse prevention, treatment, and recovery programs; and advocating for legislation that supports abuse prevention and addiction recovery. Statement of Purpose: More people in the state of Michigan die of drug overdose than motor vehicle accidents. Nationally, community based distribution of naloxone rescue kits has shown success in reducing fatality from opioid overdose, yet implementation in Michigan has been slow. In Grand Rapids, The Red Project provides access to naloxone rescue kits – equipping community members with tools to prevent overdose deaths. Methods/Approach: In 2008, Red Project began distributing naloxone kits to injection drug users (IDU) through their programs that center on injection drug use. Since the inception of naloxone programming at Red Project, over 2,000 kits have been distributed resulting in over 250 overdoses being reported reversed. Results: One in every six (17%) naloxone rescue kits provided to the community through Red Project is reported as being used to successfully reverse an opioid overdose. Conclusions: Naloxone distribution works to reduce deaths related to opiate use, thereby saving lives. Innovation & Significance to the field: Naloxone distribution needs to be made universal. The state of Michigan has supportive laws to protect providers and end-users. Education of both the medical industry as well as laypeople is proven to save lives in both a medical model, like Project Lazarus, and a statewide distribution model, as in Massachusetts. Community based naloxone distribution is supported by organizations including but not limited to ASAM, AMA, APHA, ONDCP, and SAMSHA. It is imperative that providers reaching individuals at risk for overdose include access to naloxone in their service delivery. Purpose: To describe opioid overdose training for Washtenaw County’s Sheriff’s deputies and laypersons in the use of intranasal naloxone. Methods: Instructional curriculum was developed and modified using materials from Massachusetts Department of Public Health. Five separate trainings were conducted lasting between one and two hours for deputies (n=94) and community laypersons (n=22). Training sessions included a didactic presentation using PowerPoint, videos, testimonies, and hands on practice time in assembling and administering intranasal naloxone. Pre and post surveys were administered for evaluation. Results: Two law enforcement officers used naloxone to reverse opioid overdoses within two weeks of training. Significance: Training law enforcement officers who are often first responders to opioid overdoses in the use of intranasal naloxone is effective. Additional trainings are scheduled for other law enforcement departments and community organizations throughout Washtenaw county. Training first responders and community laypersons in the use of intranasal naloxone has the potential to save many lives and give hope for recovery to those affected by drug addiction. Background: Overdose is relatively common among injection drug users (IDUs) yet little is known about how overdose-related health beliefs influence overdose experiences or risk reduction. Objectives: This study examines the association of perceived susceptibility to and perceived severity of non-fatal overdose with overdose history among IDUs attending needle exchange programs (NEPs) to inform prevention efforts. Methods: In 2009-2010, IDUs (N = 91) attending NEPs completed self-report surveys. Negative binomial regression modeled the association between demographics, age of injection initiation, length of time attending the NEP, perceived severity of overdose, and perceived susceptibility to overdose with lifetime history of non-fatal overdose. Results: Over half (55%) of participants reported lifetime overdose, with a mean of 2.9 overdoses. A multivariable negative binomial regression model revealed that younger current age, older age of first injection, non-Caucasian race, higher perceived severity of overdose, and lower perceived susceptibility to overdose were significantly correlated with fewer lifetime overdoses. Conclusions: Although our methodology precludes causal inferences, these findings are consistent with the hypothesis that perceived severity and perceived susceptibility are among several factors associated with IDUs’ use of protective behaviors, which could influence the likelihood of overdose. Future prospective research to explore the impact of this and other health beliefs on risk behaviors and overdose could help improve the effectiveness of behavioral interventions. Statement of Purpose: There is little empirical evidence supporting the use of long-term opioid therapy for chronic pain. One of the challenges faced by physicians is determining what to do with patients started on opioids for therapeutic use (i.e. pain relief) but who continue to use opioids when benefit is not apparent. The goal of this study was to describe the unique characteristics of chronic pain patients taking opioids. Methods: This study included 150 new patients seeking treatment for chronic pain at an outpatient pain clinic. A research assistant approached eligible patients and completed a structured interview. Patients reporting current opioid use rated the helpfulness of opioids across multiple domains, motivation to continue opioids, and interest in learning alternative ways to manage pain. The Prescribed Opioids Difficulties Scale was also administered. Patients completed self-report measures of pain severity, functioning and psychiatric symptoms. Chi-square and t-tests were conducted. Results: Of the 150 patients, 55.26% (N=84) reported current opioid use. Current opioid use was associated with a worse clinical phenotype, including higher pain severity, worse functioning, and more symptoms of depression. 41% of patients reported less than an hour of pain relief after taking opioids. Additionally patients reported low confidence in their ability to manage pain without opioids. Conclusion: These data question the benefits of long term opioid use and highlight important target areas for developing interventions for helping patients not benefiting from opioids taper off opioids. Importantly, the majority of patients reported interest in learning alternative strategies for managing their pain. Extra-medical prescription drug use is a growing problem among adolescent and young adult populations. 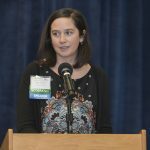 This study examined factors, including alcohol misuse, associated with past year extra-medical prescription drug use defined as using prescription sedatives, stimulants or opioids to get high, taking them when they were prescribed to someone else or taking more than was prescribed among patients seeking care in an academic Emergency Department (ED). Youth (14-20 years) presenting for care were approached to complete a computerized screening questionnaire regarding demographics, alcohol misuse (AUDIT-C > 3 ages 14-17; >4 ages 18-20), extra-medical prescription drug use, illicit drug use, and violence over a 12 month period as part of a RCT. Additionally, data regarding the ED visit, ED utilization and current medications were abstracted through chart review. Logistic regression was used to predict past year extra-medical prescription drug use. Over the study time period, there were 2134 participants (86% response rate) of which 296 (13.9%) endorsed past year extra-medical prescription drug use. Specifically, rates of past year extra-medical use was: 8.7% opioids, 5.4% sedatives, and 8.0% stimulants. Significant overlap existed among classes, with over 40% using more than one class of medications. In the multivariate analysis significant predictors of past year extra-medical prescription drug use included being Caucasian (OR 1.49, 95% CI 1.06-2.10), past year history of injury from fighting (OR 2.35, 95% CI 1.59-3.49), dating violence (OR 1.61, 95% CI 1.15-2.25), alcohol misuse (OR 2.72, 95% CI 1.98-3.72), marijuana use (OR 3.26, 95% CI 2.38-4.46), presenting to the ED for a medical (non-injury) complaint (OR 1.46, 95%CI 1.06-2.01), history of previous ED visit in the past year (OR1.41, 95%CI 1.04-1.90), and receipt of IV opiates during the ED visit (OR 1.59, 95%CI 1.08-2.34). Approximately 1 in 7 adolescents or young adults seeking ED care endorsed extra-medical use of prescription drugs in the past year. While opioids were the most common drug used, significant overlap was found in classes of extra-medical prescription drug use. Given the association of alcohol misuse with extra-medical prescription drug use, future alcohol intervention studies should consider addressing extra-medical use of prescription drugs. Statement of Purpose: Death due to unintentional poisoning is a growing public health concern in the U.S.. The number of drug-related poisoning deaths increased 173% among U.S. adults between 1999 and 2010, with overdose from prescription opioids accounting for much of this increase. The period after an addictions treatment episode is particularly high risk for overdose due to reduced tolerance and frequency of relapse. Methods: A total of 527 individuals within a residential treatment facility were screened between October 2014 and July 2015. Participants were approached during downtime at the treatment facility and offered $5 in compensation for completing a screening survey; eligibility was based on being age 18 or older. Eligible and interested participants completed a questionnaire that collected information regarding substance use and overdose; we define overdose as “poisoning”, “nodding out”, or an “overdose” or “OD”. Results: We will utilize this sample to explore the self-reported rates of overdose over participants’ lifetimes, as well as by substances used prior to treatment. Additionally, we will explore the relationship of opioids (both heroin and pain medication) and other substances leading to overdose. Within this, the timeline of onset of opioid use (e.g., heroin used prior to prescription or vice versa) will be examined in relation to overdose risk. Conclusions and Significance to the field: Limitations include a relatively small, self-selected sample as well as the use of self-reported data. Nonetheless, this report will aid in designing crucial interventions tailored to reducing opioid misuse and death due to overdose. Innovation & Significance: Injured trauma patients in the ED may be a particularly important group to target for screening and intervention for prescription drug misuse (PDM). Collaborative Care is a longitudinal model of care for patients with complex medical comorbidities and holds promise as an intervention strategy for patients in the ED with the complex comorbidity of PDM. Purpose: Determine the feasibility of a collaborative care intervention (RxCC) for injured trauma patients with self-report PDM. Methods: Adult patients presenting to Harborview Medical Center in Seattle WA with an injury from 02/2015 to 09/2015 were screened for eligibility based on historical ICD-9 codes. Eligible patients completed a screening assessment for PDM based on NIDA m-ASSIST for prescription opioids sedatives and stimulants and select questions from the COMM. Participants with a positive screen for PDM completed a baseline assessment and were enrolled in the ‘Prescription Collaborative Care (RxCC)’ intervention. Presented today are baseline characteristics and feasibility measures. Results: A total of 36 participants (56.2% of patients approached) had self-report PDM (33% female, 44.3 years old, 31% homeless/temporarily housed); 30 had reliable phone numbers and were enrolled. All eligible participants that screened positive for PDM agreed to participate. A total of 28 participants (93.3%) were engaged with the study team and completed the one month assessment. Conclusions: Initiating a longitudinal collaborative care intervention for PDM from the ED is feasible and holds promise as an intervention strategy for this complex population. Future directions include completing 3 and 6-month assessments and further intervention refinement. Aims: While it is known that emergency department (ED) patients have elevated levels of substance use, little research has examined their overdose history. The purpose of this study was to describe overdose experiences among ED patients and to examine substance use correlates of overdose history. Methods: Patients waiting for care at an urban ED in Flint, Michigan were selected randomly to be approached between February 2011 and March 2013; 74% of those approached agreed to participate in a cross-sectional survey (n=4,575). Multivariable logistic regression was used to examine the association of patient characteristics with lifetime overdose history. Results: 553 (12.1%) respondents reported one or more overdoses in their lifetime. In an adjusted model, past year non-medical prescription opioid use (odds ratio [OR] = 2.9, 95% Confidence Interval [CI]: 1.9-4.3), non-medical prescription sedative use (OR = 2.4, 95% CI: 1.5-3.8), cocaine use (OR = 2.4, 95% CI: 1.6-3.4), marijuana use (OR = 1.6, 95% CI: 1.3-2.0), and binge drinking on a monthly basis or more (OR = 2.3; 95% CI: 1.8-2.8) were independently associated with overdose history. In a separate adjusted model, use of any one drug compared to none was associated with an OR of 2.0 (95% CI: 1.6-2.5), two drugs compared to none was associated with an OR of 5.3 (95% CI: 3.6-7.6), three drugs compared to none was associated with an OR of 5.7 (95% CI: 3.1-10.6), and four or more drugs compared to none was associated with an OR of 16.9 (95% CI: 9.9-28.9). Conclusions: A history of overdose is relatively common among ED patients. 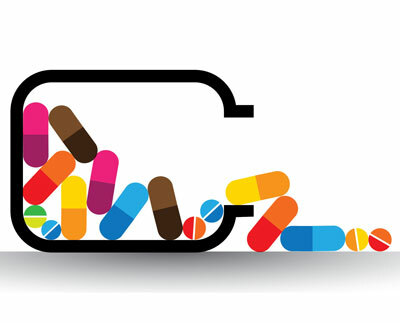 Individuals who use multiple drugs are more likely to have had an overdose. Given that prior overdose is the strongest predictor of future overdose, these findings can inform screening methods to identify ED patients at risk for future overdoses. Statement of Purpose: How adolescents think about their future (i.e., future orientation) impacts their risk-taking behavior. The purpose of the present analysis was to 1) explore the relationship between future orientation and the non-medical use of prescription drugs (NMUPD) and 2) determine what aspects of future orientation are most strongly associated with NMUPD. Methods: Data were collected from a sample of 9th-12th grade students in a single Midwestern school. Logistic regression was used to examine the relationship between three aspects of future orientation (future time perspective [FTP], future expectations [FE], and perceived risk of prescription drug use to future goals [RG]) and NMUPD. Two items assessed lifetime use of prescription medications (i.e., stimulants and painkillers) and were dichotomized (1= any lifetime use; 0= no use) for analysis. Results: Higher FE and RG were associated with lower likelihood of adolescent-reported stimulant use (N= 246; OR= 0.204, 95% CI: 0.075, 0.553; OR= 0.468, 95% CI: 0.262, 0.836, respectively). In contrast, only higher RG was associated with lower likelihood of adolescent-reported painkiller use (N= 236; OR= 0.435, 95% CI: 0.249, 0.760). Conclusions: Results of this analysis suggest that possessing a higher future orientation is associated with lower likelihood of NMUPD use; furthermore, the differential impact of aspects of future orientation may depend on the type of NMUPD use. Innovation and Significance to the Field: Adolescence is a critical time to curtail NMUPD. This analysis provides direction for future work which may identify novel places for prevention and intervention. 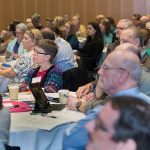 Statement of Purpose: To describe the work of the Washtenaw Health Initiative Opioid Project to reduce opioid overdoses and deaths in Washtenaw County, Michigan. Methods/Approach: The Opioid Project was formed in 2013 with representatives from local health systems, safety net clinics, treatment providers, law enforcement, public health, and other community organizations. Results: The Opioid Project implemented four initiatives from 2014 to 2015, with support from an existing opioid surveillance system. In November 2014, members educated providers on safe prescribing with the Washtenaw County Medical Society. In March 2015, members disseminated evidence-based guidelines to treatment providers, with ongoing compliance monitoring. Members formed an independent organization to reduce stigma for people in recovery and held a walk to increase awareness in Ann Arbor with 250 participants in May 2015. In summer 2015, members also worked with the Washtenaw County Sherriff’s Department to equip and train its deputies with naloxone, an overdose reversal drug, and deputies saved six lives within three months. To supplement these initiatives, the Opioid Project adopted the Project Lazarus model in August 2015, an evidence-based approach for counties to reduce overdose deaths, and held an event to educate 100 key stakeholders and develop new interventions. Conclusions: The Opioid Project harnesses existing community resources to reduce opioid overdoses and deaths by increasing access to naloxone and educating providers and the community. Innovation & Significance to the field: The Opioid Project demonstrates how communities can come together to adopt evidence-based practices to address this epidemic. Statement of Purpose: The Oakland County Prescription Drug Abuse Partnership (OCPDAP) was created in March 2015 by Oakland County Health Division to create a strategic approach for preventing and reducing prescription drug abuse. The partnership’s multi-disciplinary members include physicians, pharmacists, substance abuse treatment and prevention agencies, court judges, law enforcement, Drug Enforcement Agency, public health, academia, and grassroots organizations. Methods/Approach: OCPDAP develops and implements strategies that educate medical providers, assess drug deaths, integrate systems, and increase awareness. In eight months, OCPDAP implemented a countywide awareness campaign, increased the medical community’s knowledge by providing Boston University’s evidence-based SCOPE of Pain Training, and initiated a Drug Death Review Committee with Oakland County’s Medical Examiner. Results: The countywide awareness campaign on transit buses reached 308,000 residents. 130 healthcare professionals attended the Scope of Pain training with 83% stating intent to change practices regarding opioid prescribing. Prior to the training, the pre-test knowledge score was 63.25% but the post-test knowledge score raised to 90.94%. 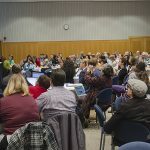 The Drug Death Review Committee is establishing processes for reviewing cases and recommending changes that reduce preventable drug abuse deaths. Conclusions: SAMSHA recognizes coalitions as an evidence-based approach to effectively reduce substance use. OCPDAP is a prime example of a multi-faceted partnership that positively addresses prescription drug abuse through increased knowledge, system change, and environmental assessment. Directions from the North: U.S. 23 South to Exit 45, M-14 West. Take Exit 3, ‘Ann Arbor’ (you will now be on Main Street). Take Main Street to Huron Street. Turn left (East) onto Huron Street. Proceed East on Huron Street. Huron street becomes Washtenaw Avenue. Turn right onto Palmer Drive (100 yards past Huron/Washtenaw curve). Parking structure has 2 entrances on left side of Palmer Drive: First is for UM faculty and staff, second is for visitors, UM faculty and staff (100 yards further on Palmer Drive). Directions from the South: U.S. 23 North to Exit 37B, Washtenaw Avenue West. Take Washtenaw Avenue West to Palmer Drive.Turn left onto Palmer Drive. Directions from the East from M-14: M-14 West to Exit 8, U.S. 23 South. Take U.S. 23 South to Exit 37B, Washtenaw Avenue West. Take Washtenaw Avenue West to Palmer Drive. Turn left onto Palmer Drive. Directions from the East from l-94: I-94 West to Exit 180-B, U.S. 23 North. Take U.S. 23 North to Exit 37B, Washtenaw Avenue West. Take Washtenaw Avenue West to Palmer Drive. Turn left onto Palmer Drive. Directions from the West from l-94: I-94 East to Exit 180-B, U.S. 23 North. Take U.S. 23 North to Exit 37B, Washtenaw Avenue West. Take Washtenaw Avenue West to Palmer Drive. Turn left onto Palmer Drive. The Palmer Drive Parking Structure is a U-M faculty-staff parking facility with 180 visitor parking spaces. It is adjacent to Palmer Commons at the intersection of Washtenaw Avenue and Palmer Drive. The Palmer Structure is managed by the U-M Parking and Transportation Services. From Washtenaw Avenue, turn on Palmer Drive, proceed approximately 100 yards to the 2nd parking entrance on your left that is marked “Visitor Parking”. In the elevator, push the PL Level (Plaza Level) and exit onto the outdoor plaza near the Life Science Institute entrance. Continue across the outdoor plaza to Palmer Commons. From Washtenaw Avenue, turn on Palmer Drive, use 1st parking structure entrance on your left. This entrance is designated for Blue/Gold/Permit Parking, primarily Faculty and Staff. It accommodates Blue, Gold and other permit parking pass holders. Access to this entrance is controlled by gates. An electronic AVI device or swipe card is required to use these areas. Once in Palmer Commons, keep an eye out for our balloons and event signage. Locate the South or North elevators and take them up to the 4th floor. The registration table will be at the north end of the 4th floor atrium.